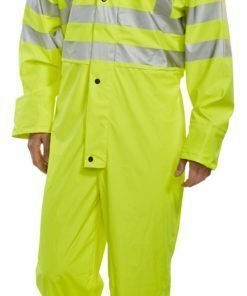 Our hi vis coveralls are part of our high visibility clothing range. 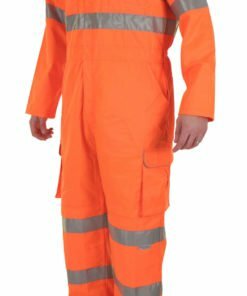 These hi vis coveralls are specifically designed for certain working conditions and will give you maximum visibility. Helps you to stay safe. Available in either yellow or orange and in various sizes from size small to 3XL, or size 38 to 48. Regular fit or tall fit options. 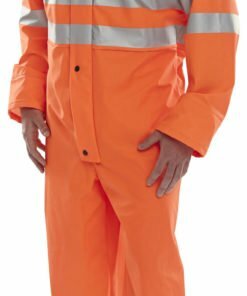 Our range of coveralls meet all the current safety standards and general requirements for safety clothing. 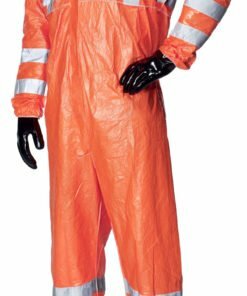 Each garment is independently tested to ensure that it meets the required safety standards. Made from high quality, robust materials to ensure longevity of wear. Featuring reflective tape to the body, arms and legs. Ideal for people working in the construction industry, mechanics, welders and rail workers. Do you need some help with your order? Then give us a call on 0330 0885 675 and we’ll do our best to assist you.